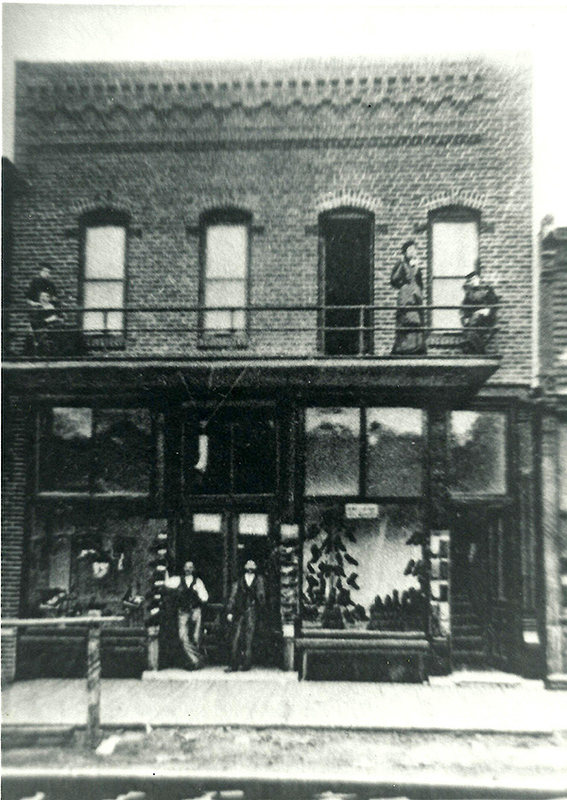 117 South First Street, Montevideo, MN—the building that houses CURE and the Land Stewardship Project – Western Office—was built in 1879. This building was constructed by Bertha & Berndt Bonn for their millinery/shoe shop. Their family of nine lived in the upstairs apartment. Fun fact: Montevideo also incorporated as a village in 1879. 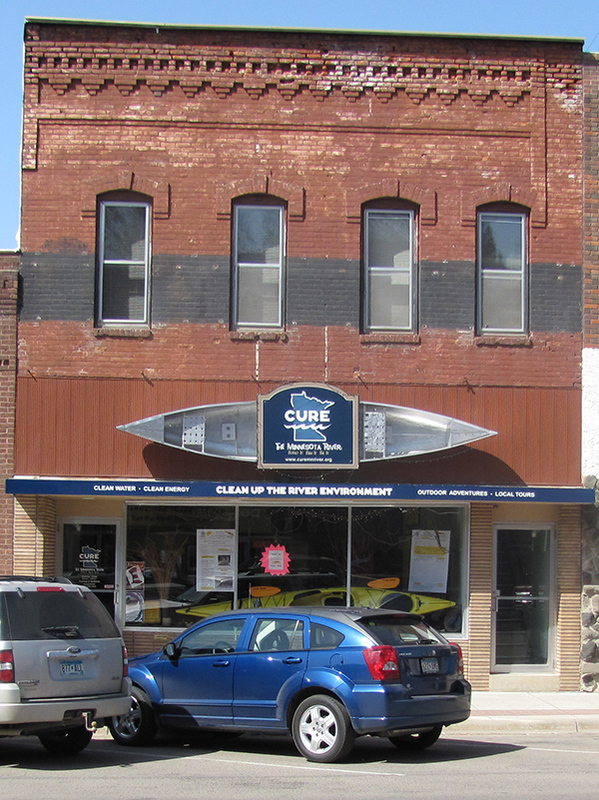 In 2008, the building was donated to CURE by Ron Potter, Trudy Potter, and John & Mary Sellner, members of a real estate partnership. 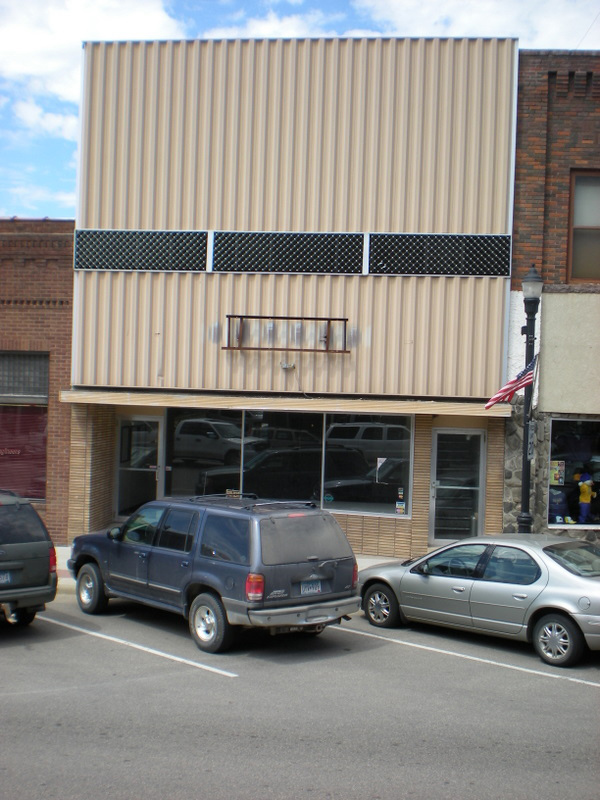 The building had been sitting empty since Midwest Wireless (a regional cell phone service provider which was acquired by Alltel which was acquired by Verizon) moved out several years before. The upstairs of the building had been most recently two apartments that were not well treated—lots of water damage from roof problems, graffiti on the walls, holes in the ceilings, etc. CURE renovated the main floor of the building and used it for office space. The upstairs was renovated in stages from 2009-2015. Electricity was upgraded as well as plumbing problems addressed throughout the whole building. Other repairs over the years have included: painting the brick in 2010 after various repairs; replacing windows on the back in 2013 & in the upper front in 2016; and recoating the roof 2016 after damage from a hailstorm. 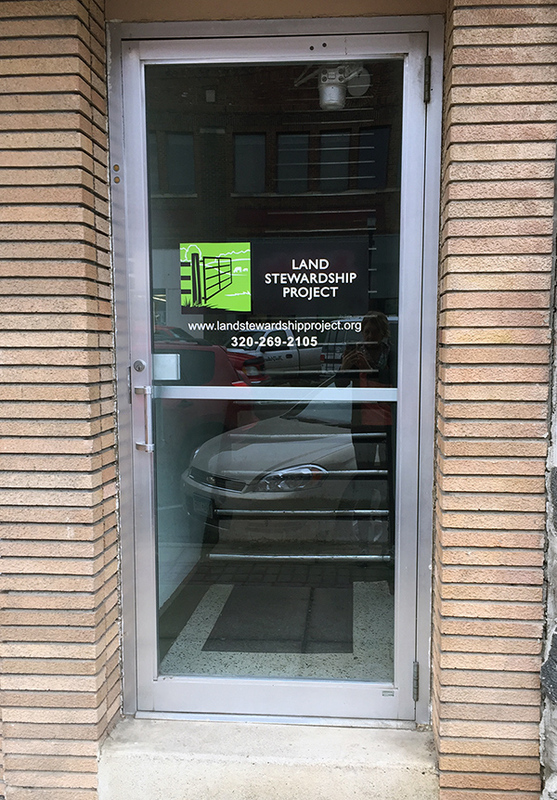 The Land Stewardship Project – Western office moved into the upstairs in 2016. 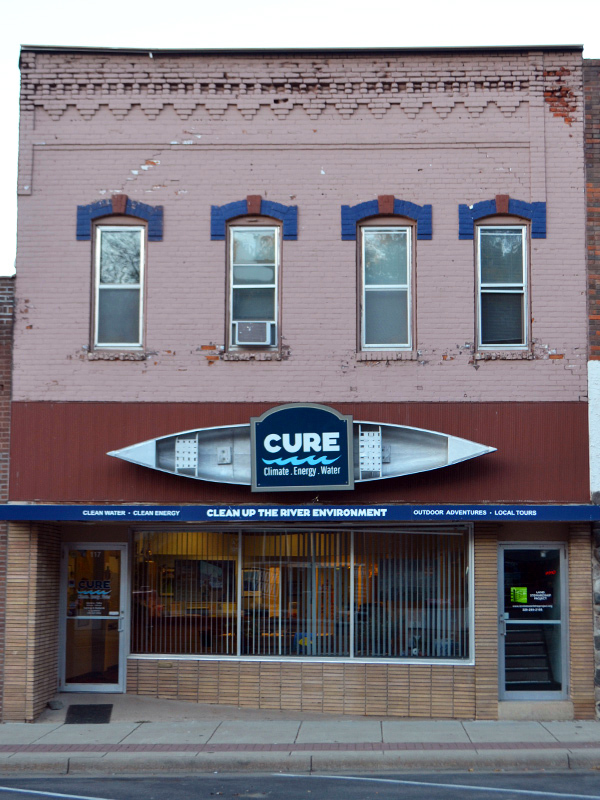 As we close 2018, the 139-year-old CURE building is in need of more love and attention again.